This is a scalable context timeline. It contains events related to the event February 5, 2004-June 8, 2005: Hijacker Associate Mzoudi Twice Acquitted After US Refuses to Cooperate with German Courts. You can narrow or broaden the context of this timeline by adjusting the zoom level. The lower the scale, the more relevant the items on average will be, while the higher the scale, the less relevant the items, on average, will be. Mohamed Atta has his hands on the shoulders of Mohammed Rajih in a portion of a 1999 group photo. [Source: DDP/ AFP]The Los Angeles Times reports that an al-Qaeda cell may still exist in Hamburg, Germany, and al-Qaeda sympathizers are threatening witnesses in a trial there. 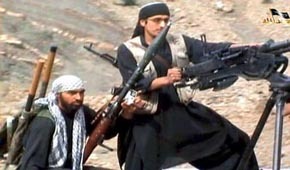 The CIA told the German government in late 2002 that it suspects an al-Qaeda cell is still present in Hamburg. It is known that a criminal investigation of at least eight suspected cell members is continuing in Germany. Mounir El Motassadeq is on trial for a role in the 9/11 plot. According to the Times, police have taped “telephone conversations of people—who never identify themselves—telling El Motassadeq’s wife that they would give her money if she needs it, implying that El Motassadeq will be assisted as long as he remains quiet.” One witness withdrew his statement to police after he was told he might need to testify publicly. 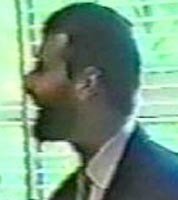 Another witness named Shahid Nickels, who lived with hijacker associate Ramzi bin al-Shibh at one point, has told investigators that after 9/11, a man named Mohammed Rajih urged him to destroy any phone number or other contact information he might have for the Hamburg cell. Rajih soon moved to Morocco. He is suspected of being involved with the cell, and was under investigation even before 9/11. [Los Angeles Times, 1/30/2003] In 2009, a group of ten men who regularly attend the Al-Quds mosque in Hamburg—the same mosque attended by three of the 9/11 hijackers—will depart for militant training camps in Pakistan. 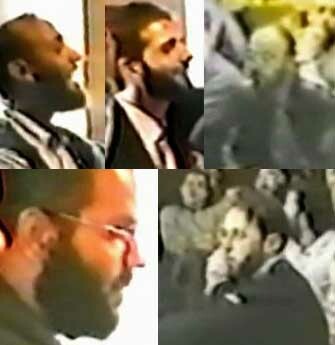 One of the men, Naamen Meziche, will turn out to have been a member of the al-Qaeda Hamburg cell even before 9/11 (see March 5, 2009 and August 9, 2010).